Tin snips are great for cutting polycarbonate and other plastic sheets quickly and easily, making them much easier to work with. 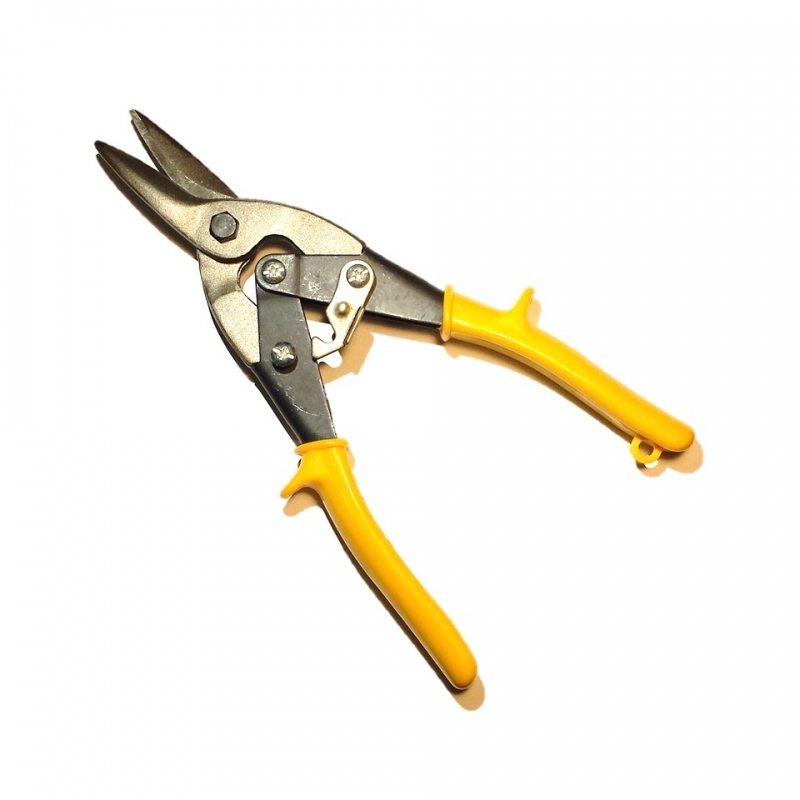 Straight cut aviation style snips can cut both straight lines and moderate curves. Rubber coated handle and drop forged steel jaws.